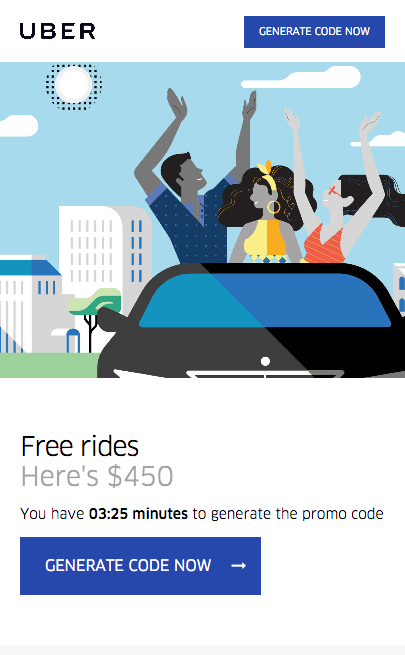 Everyone wants credits for Uber without paying. This Landing Page based on Uber, the transportation and food delivery company for the users. It uses the same colors and aesthetics as the company today. Fully configurable and easy to customize. 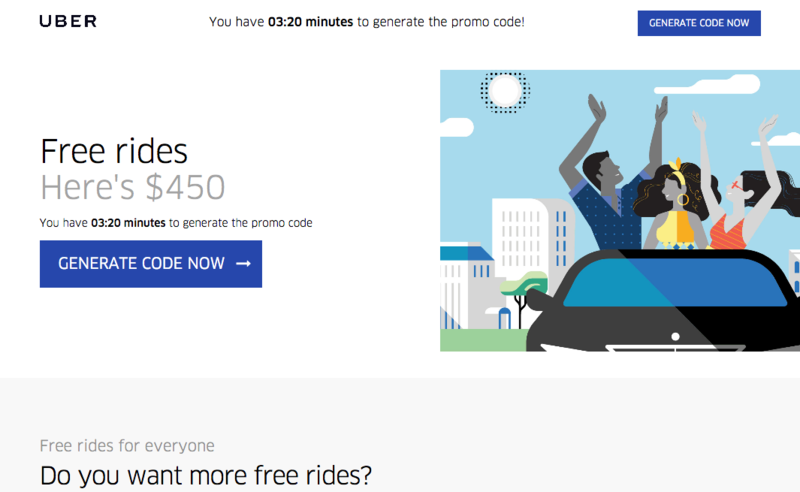 It comes with indispensable features to improve the conversion of your campaigns: connection process to server, time limit to generate the coupon and a promo code creator to use in the famous Uber App. Will be displayed people who see it from their computer, from the phone and tablet. It has a totally responsive design and all content loads very fast. In addition, a mini-guide is included to add the link of your offer, to edit the messages and other details that you think necessary.